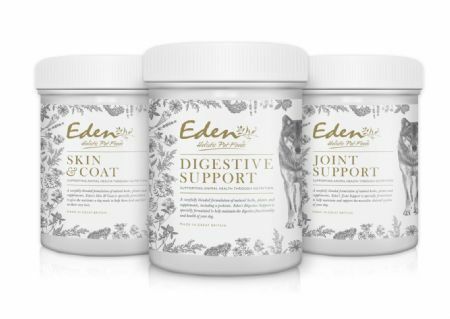 Eden have taken the best of traditional remedies, plants and herbs that have been used to support health for thousands of years, and combined these with the best in modern supplements. Each of the three supplements contains Ascogen®, which is a high nucleotide yeast extract. 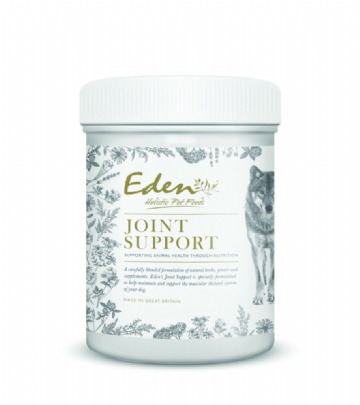 Choose from Digestive Support, Joint Support and Skin and Coat in 100g and 300g packs. Any customers who have used the Eden supplements previously should note that the concentration levels have changed and only half the amount is now required. Please see the details on each product's page.